PALO ALTO, CA--(Marketwired - October 09, 2015) - Unlike spammers, fraudsters are criminals who study their victims, and with the right information they can fool victims rather easily. Fraudsters have moved on from using large-scale phishing attacks that expose a few vulnerable victims. Nowadays fraudsters leverage new tools so a single targeted email can pay off much better than sending a million untargeted fraud emails. Ready access to social media and commonly available online databases serve these criminals, who know how to use personal data to gain victims' trust. Today's fraud succeeds because the sender knows enough about a victim to create context that makes sense. The right context equates to calling out someone's name in a crowd, instead of yelling "hey you." Highly targeted emails suggest to the victim that the sender knows them or has information the victim needs or can use. Senders/fraudsters create an atmosphere of familiarity that is accepted by the targeted victim of the attack and encourages them to respond. 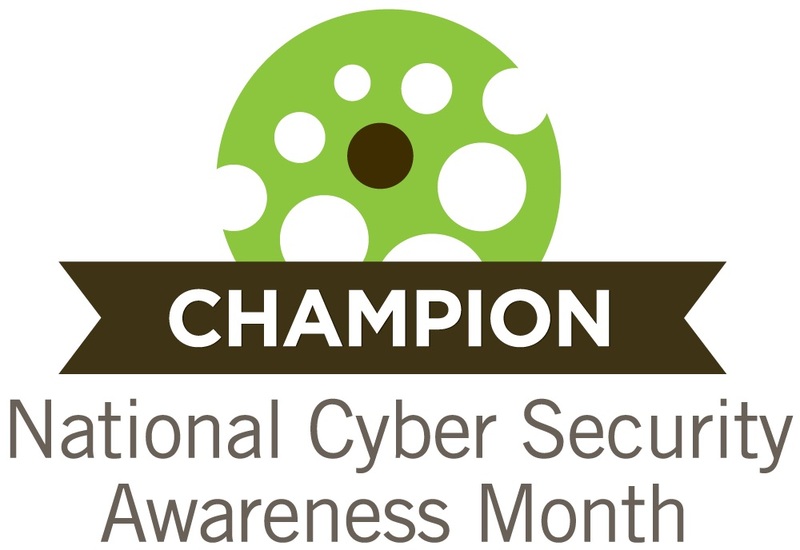 Major data breaches, especially, contribute to fraudsters' growing field of potential victims, who are easy marks of very precise spear phishing emails. The new fraud -- targeted attacks -- appears to be very credible, and as a result, increases the click-through rate by more than 200 times compared with non-targeted fraud messages, according to Cisco. Victims, who in large numbers entertain the illusion that they are impervious to fraud boost criminals' chances of success. Fraud is rising for many reasons, and it's morphing into a well-managed crime that pays off better than ever. 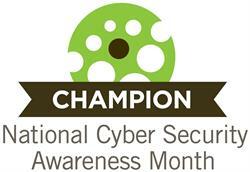 Fraud will continue to thrive, until we embrace tools that automate reporting and prevention. ZapFraud is the leading provider of proactive email and online fraud protection services for consumers, as well as threat-detection services for enterprises. ZapFraud's patent-pending Fraud Firewall™ protection service helps provide peace of mind for consumers as they face the increasing and ever-changing threat of email, social media and online phishing scammers who attempt to steal intellectual property, identity, online credentials and, ultimately, their hard-earned money. More information about the company can be found at http://www.zapfraud.com. 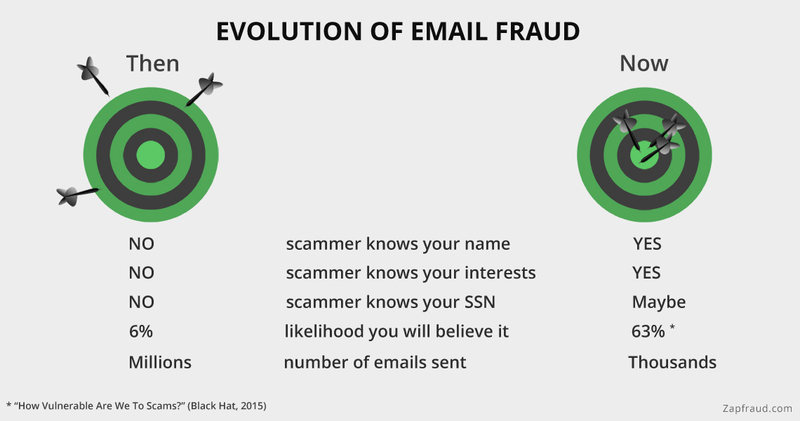 Understand how email fraud has evolved over time. Scammers study and know more about you.